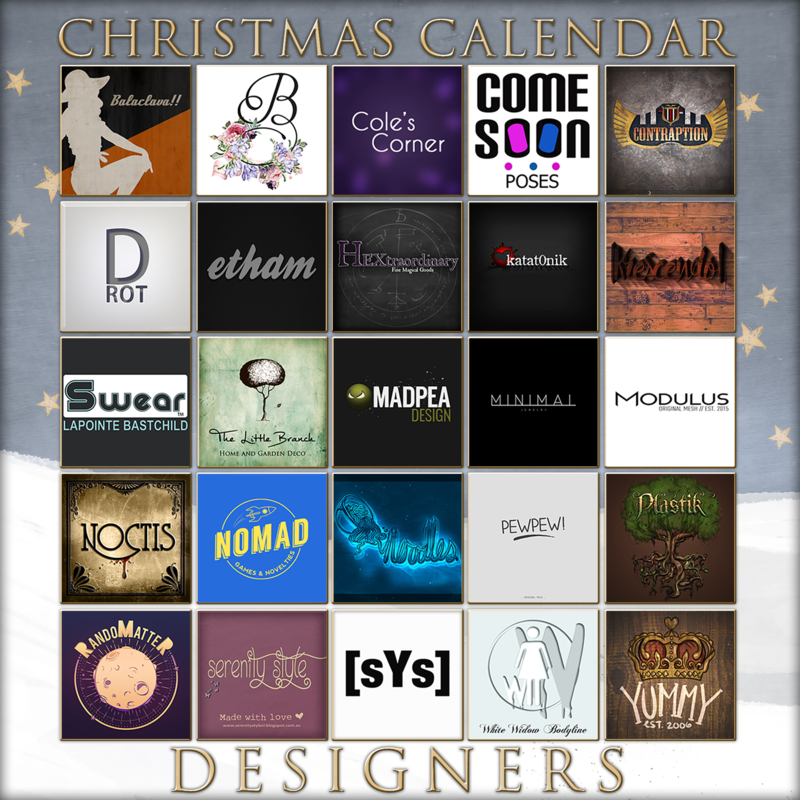 The MadPea Christmas Calendar is an advent style calendar, which comes in a physical version to hang in your home as well as a wearable HUD option. You purchase the Calendar for 1000L and from the 1st of December you can click the matching day to get your gift! Each item will be unisex or come with a male and female version and be exclusively made for the MadPea Christmas Calendar! Curious about the presents? Check out the doors here daily too to see what was behind each door.. and get ready for more surprises! Designers are shown in alphabetical order – this is not in the order that they will be released. It’s a mystery!